Azhakiyakavu Bhagavathy Temple, located at Palluruthy, near Kochi in Ernakulam, is a famous temple dedicated to the sixteen armed Goddess Bhadrakali. The temple is famous for the annual Pattuthalapoli festival which begins every year from 1st of the Malayalam month of Makaram (January). The festival which lasts for around 25 days receives the largest number of Nattu Thalam, an offering to the goddess in Ernakulam. During the festival days a ritual called Brahminipattu will be conducted in the specially arranged panthal, (dais). 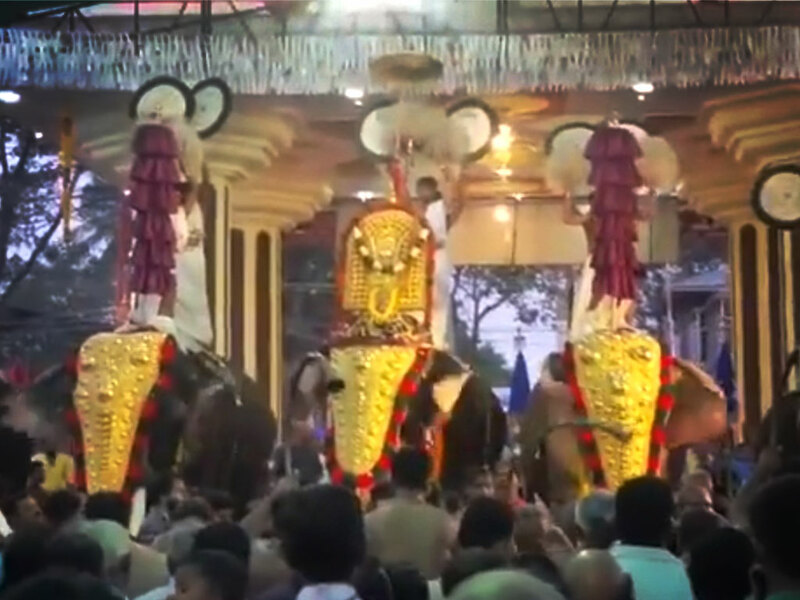 Vadakkumpuram Guruthi is another ritual held as part of the Pattuthalapoli festival. 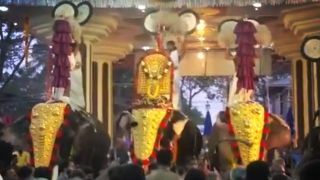 The temple also celebrates Pongala festival on the Bharani asterism in the Malayalam month of Kumbham (February-March) and the Meena Bharani festival on Bharani asterism in the Malayalam month of Meenam (March-April).